Lots of choices for sealant out there - from gasket material to other high temp stuff. Any recommendations, or am I missing anything obvious here? I’ve read through some other posts on this, house roof sealant was mentioned as one option. While you have the rack off, dig the sealer out of the channels on both sides, and replace it with regular hardware store home roofing sealer. I ran a bead down both sides, and smoothed it with a vinyl glove on my hand. You could also use a screw driver, or squared off popsicle stick that is the same width as the channel. Make sure it is recessed enough for the edges of the roof rack to fit into the channels. Roofing sealer is good for 20 years on a roof, so it is good enough for a car. 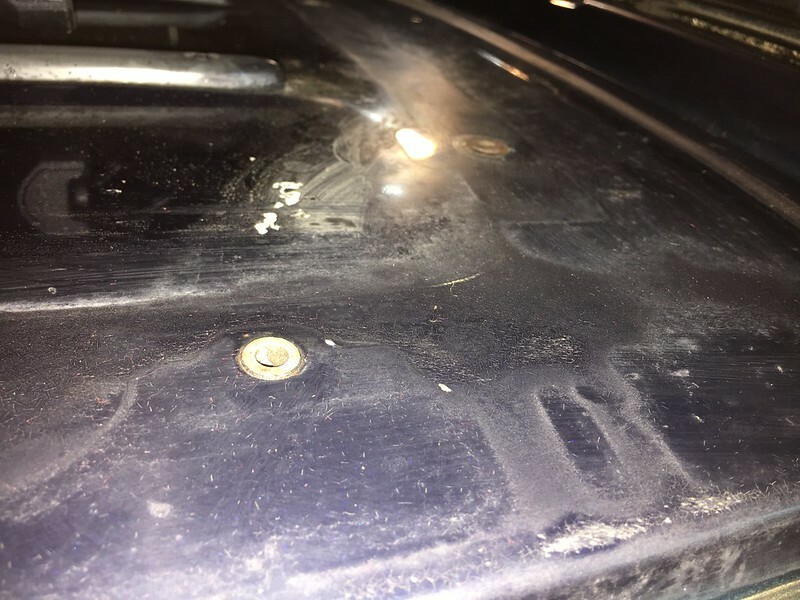 Are we talking about running sealant down the metal channel where the weld-line is between roof and quarter panels? It sounds like a good idea ... and I could find no evidence that GM did that when I took everything off and cleaned up the channel area. Lots of dirt and junk - could the sealant have just degraded and turned into that? That channel is full of a very hard and thick seam sealer. These cars being 90s GM products built with 90s GM quality, that sealer cracks and lets water in. I'm in the process of removing all of mine and treating the resulting minor rust. Here in Florida these cars will rot out along the windows and these channels. Also hits the area above the windshield and the d pillars pretty bad if left unchecked. The sealant is notorious for becoming dust, or at least crumble at the first touch. Yes, are we referring to putting sealant in the body panel joint. 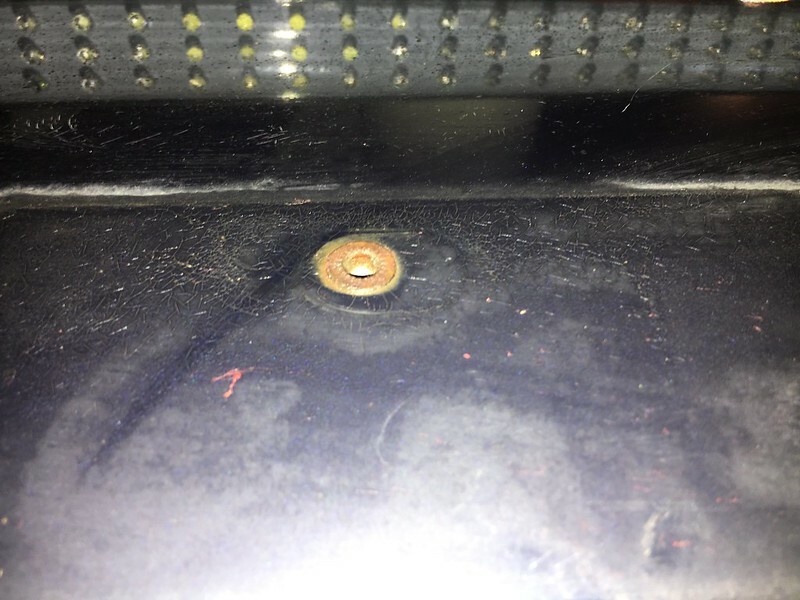 The joint has a standing weld on the inside, and can leak if it is not sealed from the outside. It drips on the headliner, and runs to the back, and down either the grab handle, or the D pillar. Thanks guys - I’ll get things cleaned up and get sealant back in that channel groove. I’ve been cleaning up the rails for a repaint too. Who knows, maybe it will go for another 20 years? The rivnuts can be tightened with a washer, nut, and screw, used like an original installation tool. They are metric, I believe a 6mm, but I do not remember the pitch. Use some rust converter, and paint. Sealant should not be necessary on the rivnuts. Thanks Fred, I was actually very fortunate, though rust had started through some of the nuts, nothing has broken free yet so I’ll get things fully cleaned, sealed and tightened back down. There’s a little bit of rust clean-up where the plastic spacer has been rubbing, but generally in good shape. When I put them back together I put silicone on everything just to be sure. Around the rivnuts, in the holes, etc. Can't be too sure, lol. Wish my old sealer was dust. It is rock hard and a huge PITA to get out. Advance Auto carries tubes of seam sealer, I use that to seal it all back up. To be honest, I’m still wondering if maybe the assembly line up in Michigan let this wagon down the line without the sealant. It was a dirty mess in there, but gosh, there is just no evidence that anything was ever done. Nothing to scrape off - just a little vacuum and windex and it’s cleaned. I guess I can believe either: GM missed an assembly step - or the product they used turned to sand. I am considering cutting it to shape and placing it sticky side down between the paint and the plastic gasket after I kill the rust spots. It sticks like crazy to anything and is water tight for years. I’ll make small holes and silicone them where the bolts go through. Any thoughts?